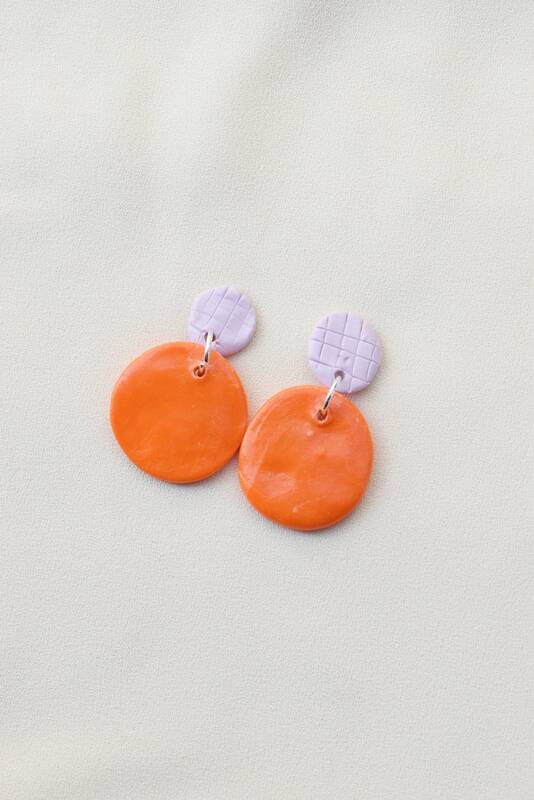 Light weight and flexible polymer clay earrings. Each pair is hand-shaped and unique. Earrings may have some faint specks of dust or small imperfections.